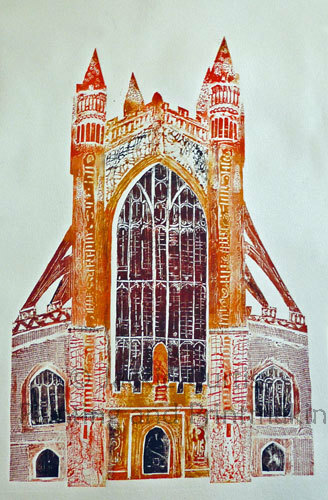 Original limited edition collagraph print of Bath Abbey. Much of the detail is drawn into glue with scrim, gauze and lace pushed into the glue to give texture. The windows are seperate pieces placed into the main block so that the picture is printed as a single block.